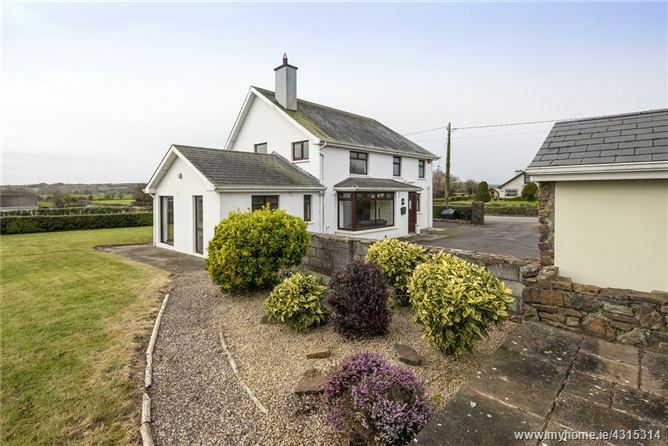 Boasting sea views and located between the scenic and coastal villages of Shanagarry and Ballycotton, Sherry FitzGerald O'Donovan are pleased to offer this delightful detached property to the market. The location of this property is very appealing as Ballynamona beach is within easy walking distance and only a short drive is the beautiful fishing village of Ballycotton. Further afield the popular East Cork town of Midleton is easily accessible and Cork City is only within 40 minute drive. 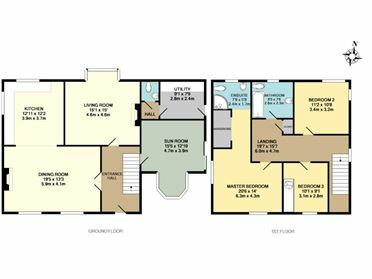 The house itself has a modern interior and the open plan design offers well laid out and bright accommodation throughout. Accommodation comprises of dining room, kitchen, living room, sunroom, utility, guest WC, 3 bedrooms (1 ensuite) and family bathroom. 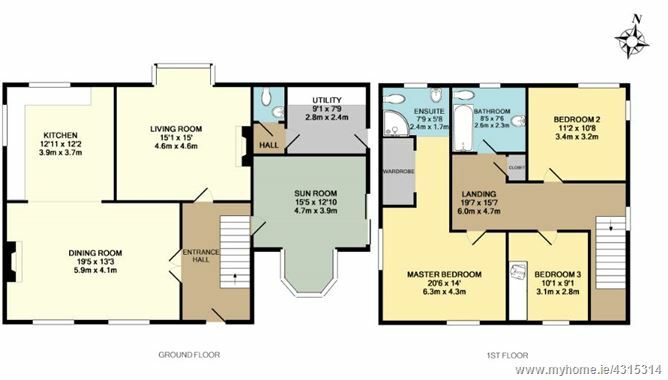 158 sq m approx. Externally the property is also well laid out with a large tarmacadam driveway (providing ample parking), detached stone fronted outbuilding, elevated patio area and finally the boundaries are defined by an attractive stone wall and mature hedging. Entrance Hall Double doors into dining room. Dining Room Open plan design leading into kitchen. Ornate open fireplace. Kitchen Fully fitted modern kitchen with integrated double oven, microwave, hob and fridge/ freezer. Tiled over kitchen units and double doors into living room. Living Room Large bay window and ornate open fireplace. Sunroom Pitch pine floors/ ceiling and double sliding doors onto side garden. Guest WC Tiled floor, WC and WHB. Utility Room Fitted units and plumbed for washing machine, tiled floor and separate access. Bedroom 2 Double bedroom to the rear. Bedroom 3 Double bedroom to the front with built in wardrobes. Master Bedroom Double bedroom with walkin wardrobe and ensuite. Ensuite White bathroom suite, fully tiled and corner shower unit. Family Bathroom White bathroom suite and fully tiled.